It was a humid, electric evening, like any other in Manila. Our little team huddled in the back of a battered old van, headed to a part of the city known for its upmarket hotels and its brothels. It is a destination for many desperate young women (and some men) seeking to sell their bodies in the hope of building a better life for themselves and their families. We were with three Redemptorist sisters, who had allowed us to shadow them as they carried out their ministry to prostituted women. For at least 20 years they had been going to red light districts to offer what help they could. We followed as the sisters in their simple blue habits walked past two bouncers guarding a brothel. As we entered, a group of beautiful Filipino women in brightly colored dresses ran toward the sisters, embracing them like long-lost siblings. We were ushered to a room where the sisters would be less likely to distract from the business of the brothel, and we watched as fellowship was shared. After about an hour we were informed that we could return to the main part of the building, since no “johns” were present. Soon a karaoke machine was playing Abba’s “Dancing Queen,” and one of the sisters took to the stage to begin a barely recognizable version of the tune. She was quickly joined by the youngest woman in the brothel. Everyone fell about laughing. It was a profound moment: A stage normally reserved for the exhibition of human flesh had become the platform for a celebration of solidarity and human dignity. A stage normally used to exhibit human flesh became the platform for a celebration of human dignity. Later that evening the sisters, who have never received a cent’s worth of support for their work, shared success stories, telling us how they had managed to help many women. They also told us about women who had regained their freedom only to be trafficked once again. 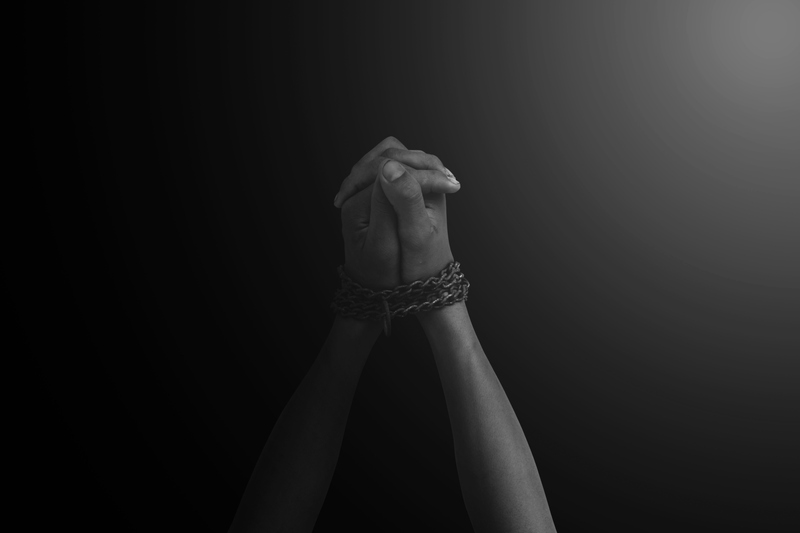 The stories have the potential to generate salacious headlines, but they also explain how anti-slavery work is carried out and how we can better support it. There is a tension between accompaniment and impact in the field of international development. The tail has increasingly wagged the dog. Funders want to see evidence of impact, and this results in a focus on numbers: tallies of the women rescued, the people sheltered. I recently heard about a shelter that ejected human-trafficking survivors after a certain period to provide evidence that it had “rehabilitated” enough people to justify further investment. This contrasts starkly with much of the frontline work we have been privileged to witness, and especially with the global work of Talitha Kum—the International Network of Consecrated Life Against Human Trafficking—which links religious in over 70 countries as they confront modern slavery. The work of Talitha Kum is more focused on accompaniment, which requires patience, the sensitivity to move at someone else’s speed and constant adaptability to the unique needs of each victim of trafficking. Sadly, this is why our Manila Redemptorists were never going to attract significant funding. And it is why last year we launched the Arise Foundation, which has a specific mandate to support efforts in frontline accompaniment. The skeptical reader might question the value of spending time with exploited women in a brothel. But every frontline abolitionist I know insists on the value of building a trusting relationship with victims and survivors. These gateway initiatives pave the way for an array of other services offered by the church, including shelters, rehabilitation programs, awareness-raising, advocacy and other preventive work. Many of these projects are underdeveloped, and most do not receive funding beyond their congregations, where resources are scarce. The church’s full potential as a force against exploitation is far from being realized. It is too often assumed that women religious will just keep doing this work, against the odds and with little support. They get a paternal pat on the head but are rarely seen as an important voice at the table or worthy of serious resources. We constantly hear from sisters and others who are keen to expand the scope of their invaluable projects but who need their work to be further enabled. We have an opportunity to put matters to rights: by taking it upon ourselves to raise the profile of the courageous members of our own Catholic community who undertake frontline accompaniment and by helping the international community to appreciate work that prioritizes the needs of the individual over the demands of the funding community. Let us seize these opportunities so that we can realize our church’s phenomenal potential to make slavery history. This article also appeared in print, under the headline "The fight against human trafficking is not just a numbers game," in the November 27, 2017 issue. John J. Studzinski is the vice chairman of investor relations and business development, as well as senior managing director, of The Blackstone Group LP. He is also a director emeritus of Human Rights Watch and a co-founder and chair of the Arise Foundation, which partners with local networks to stop human trafficking.